Beautiful and not an easy thing to draw! This is great Brian. Skulls are such good subjects and they are so good at holding still. Great story with the pen by the way. Dear Pen Pilferer, Super skull sketch! Yeah, really well done Brian. 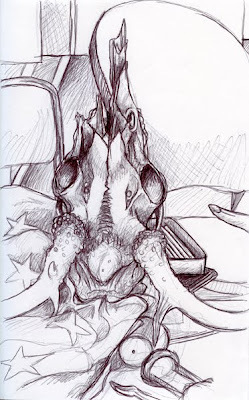 I need to take some skulls home from school and sketch some myself.